You do know that learning no longer ends when you finish school or take your last exam? As a leader, you must commit to a life time of learning. And, if you consider yourself a leader, an expert, a specialist, on or off social media, then you must know that before you lead others you must first lead yourself. Many leaders never really lead as much as they say they do, but, they of course take credit for the good… and dish out blame for the bad. However, sooner or later, you’ll discover that leadership is more about who you really are than what you claim you do. Leadership of others begins with your internal leadership… yes, your internal leadership. You must fill up your cup before leading someone else… otherwise it’ll just be the blind leading the blind. If you want to continue to grow you must continue developing yourself toward what you want to be as a human being. I’m talking about self-awareness. Self-awareness provides you with the tools to achieve your goals in your personal life, at work, with family and friends, in the community and with other social relationships. Here are three tips to help you know yourself better and become the role model you need to be for those who look to you as a leader. Assess your self-awareness. 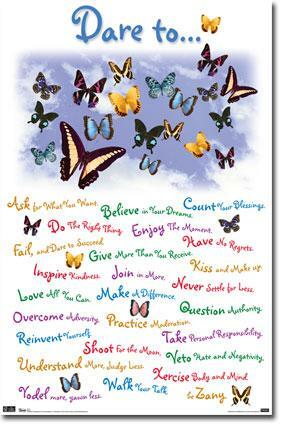 Tune in to your values… for instance, are you living the values you set for yourself? Are you constantly testing your strengths and limitations? You should, because doing so gives you a realistic sense of self-confidence. Self confidence is needed to help you handle your distressing emotions so they don’t interfere with getting things done and marshal your positive emotions to stay motivated, allowing you to work toward your goals, and bounce back from setbacks. As a quote goes,“We see the world not as it is, but as we are.” You need to stop running when you are not completely clear on the ultimate destination. This is so important, because you may run the wrong way. Taking time for reflection and introspection allows you to analyze what to do and how to make continual improvements. By improving, refining and defining who you are, you see the world from more enlightened perspectives… perspectives that are effective as leader. 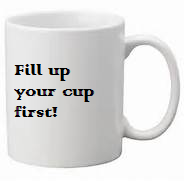 Fill up your cup first. Learn something new, make new friends. Do something that you’ve always wanted to do and didn’t find time to do for yourself. Stay healthy and fit. Apply those same principles you suggest to others, to yourself. Get updated with what is working out there and explore what else you can do to fill up your own cup. Goethe wrote “before you can do something you must first be something”. Remember, you cannot be aninspirational leader if you feel miserable and depressed. You cannot inspire people to excel if you are unmotivated. Success begins within… it all starts with getting yourself together first. Establish personal growth time. Lack of discipline is the main reason many people, including leaders, do not attain their set goals and aspirations. Setting aside committed time gives you a schedule, making it easier for deep introspection and growth time. My own personal growth starts with reading uplifting books for at least thirty minutes a day. Knowledge provides a great path to self awareness. You’re probably thinking you can’t find the time, but let me just say that reading comes in many shapes and styles. Reading is a metaphor for gaining new knowledge continuously. You can read a book, listen to MP3s, attend a seminar or read an ebook on your tablet, smart phone or computer… you enrich your mind. It just means making the commitment. Self-awareness, reflection, introspection and all that helps you look inward, are proven ways to know yourself and, hence, become role models to the people around you whether they’re your colleagues or customers, friends, spouses and children. Remember, they expect you to be at your best. Oscar Wilde certainly puts it in prospective, One’s real life is often the life one does not lead. So, before you try to lead others, put yourself first and fill your cup… first.